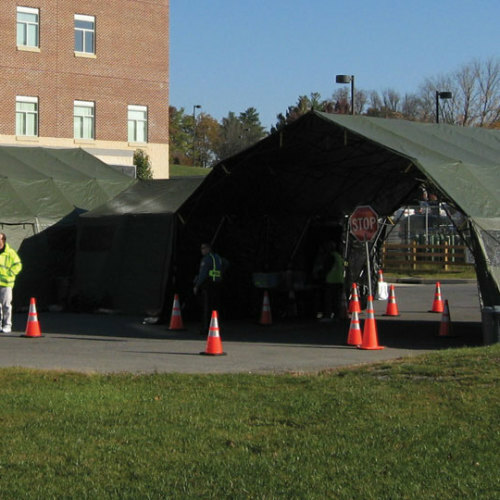 HDT Base-X® shelter systems are ideal for military and emergency medical applications in any environment. Three configurations for surge-capacity patients (12 bed, 25 bed hub and spoke and 25 bed square) are available. 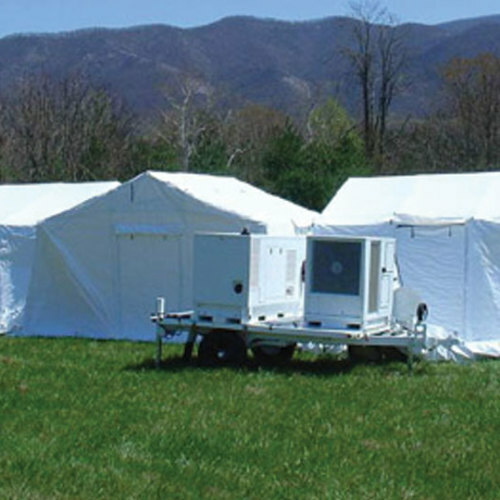 These freestanding units are designed for quick set-up and can be augmented with medical equipment and supply sets to provide a total turnkey solution for mobile medical needs. 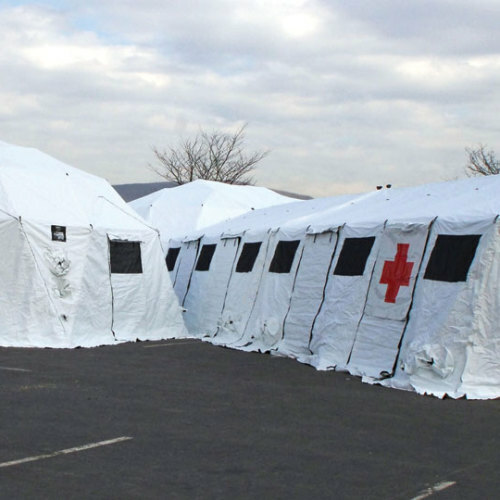 Medical Surge – Rapid-deploying, mobile facilities with complete infrastructure and inventory for responding to a medical surge, incident deployment, isolation or mass gathering. 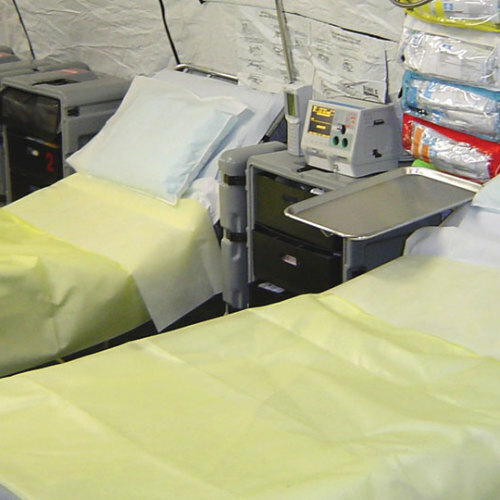 A variety of sizes are offered and medical supplies and equipment are customized to meet your specific needs. 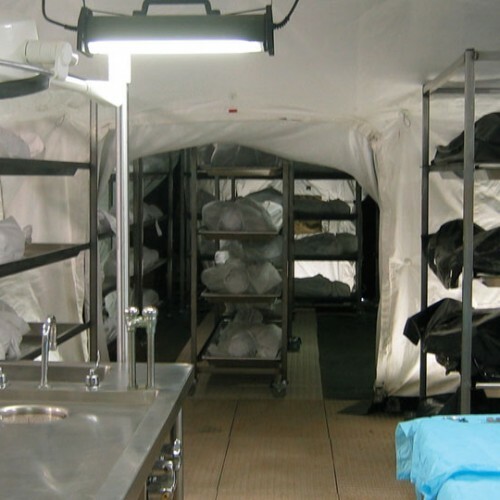 Mobile Hospitals – HDT can provide complete stand-alone mobile hospitals customized for 12 to 100 beds or more. 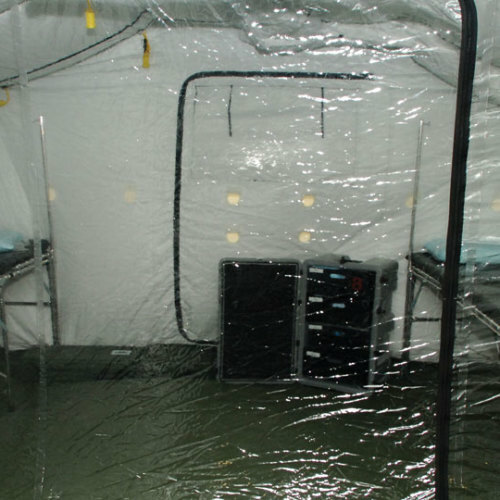 Every medical shelter can be stocked with equipment and medical supplies to meet your specific requirement.